The SATO LP 100R continuous form laser printer is ideal for businesses that need to print large amounts of labels, tags/ticket, or forms. 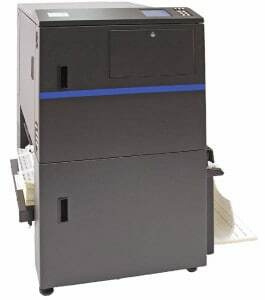 This printer is designed for performance, reliability, ease-of-use, and low operating costs. The LP 100R can also handle a wide range of media, from the thinnest labels to the thickest tag stocks.